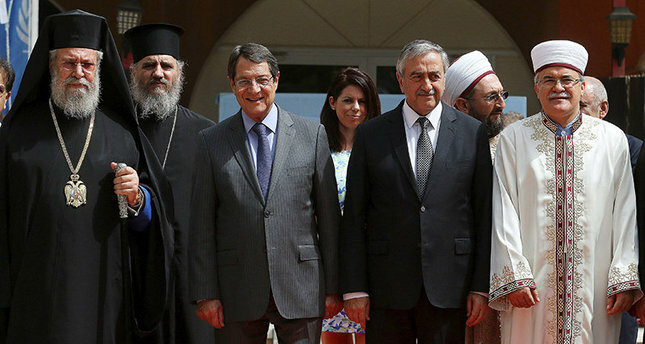 Cyprus' top Muslim cleric has said Christians and Muslims can again live together peacefully on ethnically divided Cyprus as they did for hundreds of years. Turkish Cypriot Grand Mufti Talip Atalay said Muslims should emulate the "good example of our ancestors" and that "we should build on the good memories." Atalay was speaking Wednesday at the Hala Sultan Tekke, an important holy place in Islam, where tradition says the Prophet Muhammad's foster mother is buried. Hundreds of Muslims from the Turkish Republic of Northern Cyprus made the pilgrimage to the shrine in the Greek Cypriot south on the feast of Eid al-Adha or Kurban Bayram. Talks are taking place to reunify Cyprus, which was split in 1974 when Turkey invaded after a coup by supporters of union with Greece.